Validation is the most recognized and important parameter of GMPs. 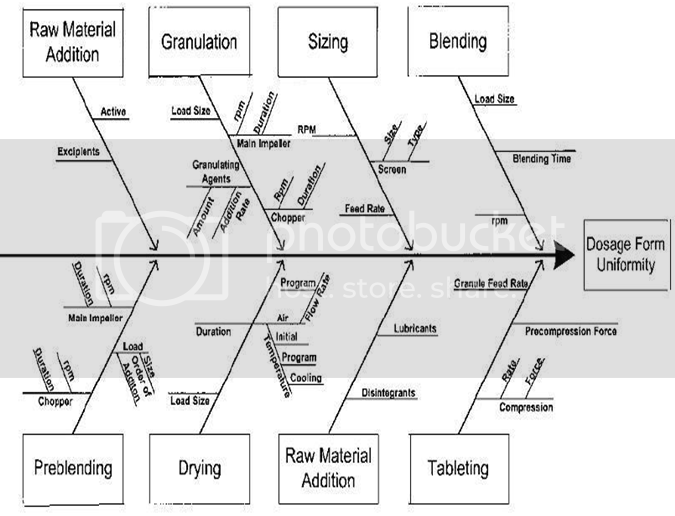 This article provide introduction about the process validation of pharmaceutical manufacturing process and its importance according to The U.S. Food and Drug Administration (FDA). This work is to present an introduction and general overview on process validation of pharmaceutical manufacturing process. Quality cannot be ensured by sampling, testing, release of materials and products. Quality assurance techniques must be used to build the quality into the product at every step and not just tested for at the end. Process validation of a process will ensure production of drug of reproducible quality. In pharmaceutical industry, Process Validation performs this task to build the quality into the product because according to ISO 9000:2000, it had proven to be an important tool for quality management of pharmaceuticals. The concept of validation was first proposed by two Food and Drug Administration (FDA) officials, Ted Byers and Bud Loftus, in the mid 1970’s in order to improve the quality of pharmaceuticals. The first validation activities were focused on the processes involved in making these products, but quickly spread to associated processes including environmental control, media fill, equipment sanitization and purified water production. In a guideline, validation is act of demonstrating and documenting that any procedure, process, and activity will consistently lead to the expected results. It includes the qualification of systems and equipment. 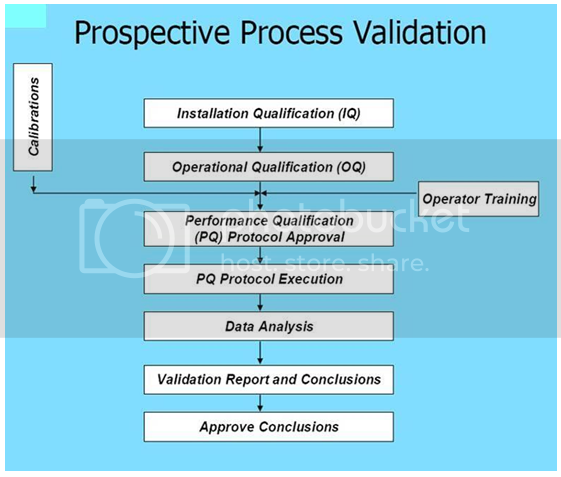 The goal of the validation is to ensure that quality is built into the system at every step, and not just tested for at the end, as such validation activities will commonly include training on production material and operating procedures, training of people involved and monitoring of the system whilst in production. In general, an entire process is validated and a particular object within that process is verified. The regulations also set out an expectation that the different parts of the production process are well defined and controlled, such that the results of that production will not substantially change over time. 1. Quality assurance: Quality cannot be assured by daily quality control testing because of the limitations of statistical samples and the limited facilities of finished product testing. 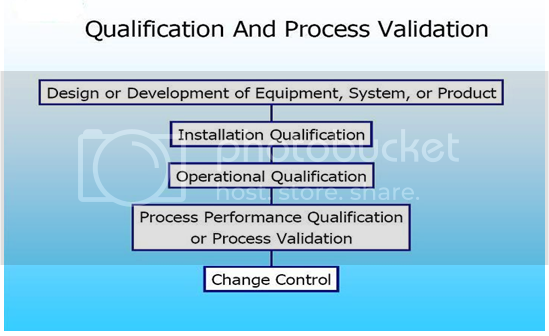 Validation checks the accuracy and reliability of a system or a process to meet the predetermined criteria. A successful validation provides high degree of assurance that a consistent level of quality is maintained in each unit of the finished product from one batch to another batch. 2. Economics: Due to successful validation, there is a decrease in the sampling and testing procedures and there are less number of product rejections and retesting. This lead to cost-saving benefits. 3. Compliance: For compliance to current good manufacturing practices CGMPs, validation is essential. Quality control: Perform testing and reviews protocol and report as needed. The validation working party is convened to define progress, coordinate and ultimately, approve the entire effort, including all of the documentation generated. The working party would usually include the following staff members, preferably those with a good insight into the company's operation. Responsible for manufacturing of batches and review of protocol and report. Responsible for protocol authorization and preparation of summary report. In this qualification, compliance of design with GMP should be demonstrated. 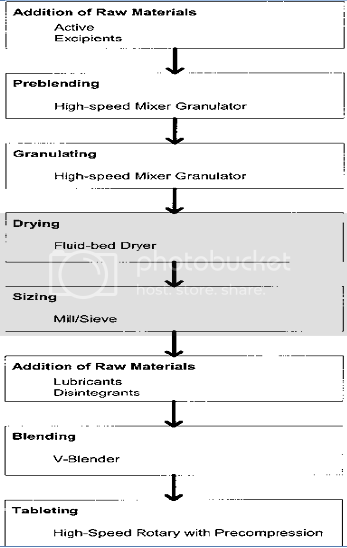 The principles of design should be such as to achieve the objectives of GMP with regard to equipment. Mechanical drawings and design features provided by the manufacturer of the equipment should be examined. 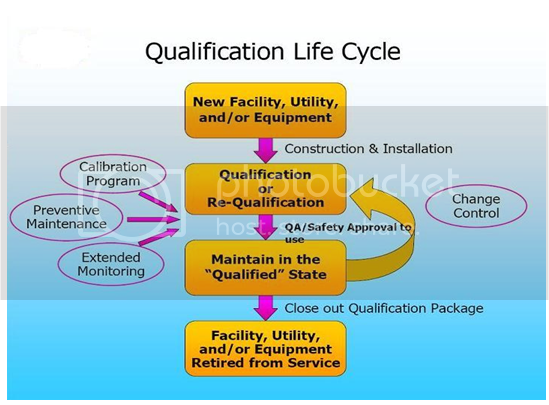 Installation qualification should be carried out on new or modified facilities, systems and equipment. The following main points should be includes in the installation qualification. Checking of installation of equipment, piping, services and instrumentation. Collection of supplier’s operating working instructions and maintenance requirements and their calibration requirements. Defining lower and upper operating limits,. Sometimes, these are called ‘worst case’ conditions. Tests using production materials, substitutes or simulated product. These can be developed from the knowledge of the process and facilities, systems or equipment. 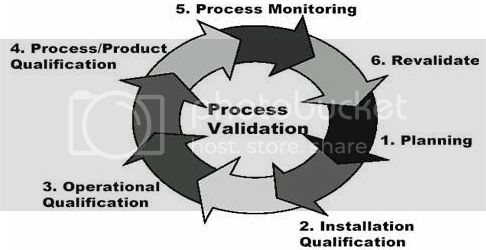 Process validation is establishing documented evidence which provides a high degree of assurance that a specific process (such as the manufacture of pharmaceutical dosage forms) will consistently produce a product meeting its predetermined specifications and quality characteristics. According to the FDA, assurance of product quality is derived from careful and systemic attention to a number of important factors, including: selection of quality components and materials, adequate product and process design, and (statistical) control of the process through in-process and end-product testing. Thus, it is through careful design (qualification) and validation of both the process and its control systems that a high degree of confidence can be established that all individual manufactured units of a given batch or succession of batches that meet specifications will be acceptable. 1. Prospective Validation: It is establishment of documented evidence of what a system does or what it purports to do based upon a plan. This validation is conducted prior to the distribution of new product. 2. 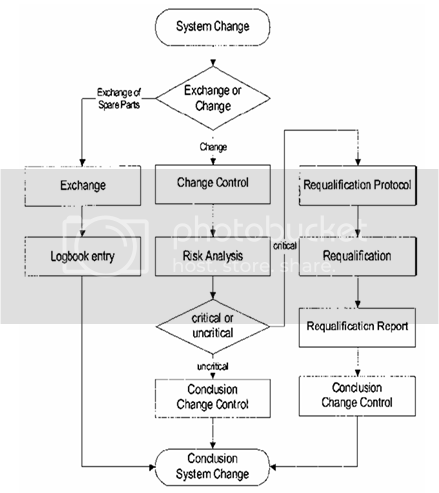 Retrospective Validation: It is the establishment of documented evidence of what a system does or what it purports to do based upon the review and analysis of the existing information. This is conducted in a product already distributed based on accumulated data of production, testing and control. 3. Concurrent Validation: It is establishment of documented evidence of what a system does or what it purports to do information generated during implemented of the system. 4. Revalidation: Whenever there are changes in packaging, formulation, equipment or processes which could have impact on product effectiveness or product characteristics, there should be revalidation of the validated process. It is important to draw up a summarized document that describes the whole project. It has become common practice in the industry to develop a “validation master plan” (VMP). This document would usually include the qualification aspects of a project. After preparing VMP, the next step is to prepare validation protocol. There are the following contents in a validation protocol. 3. Background/Prevalidation Activities Summary of development and tech transfer (from R&D or another site) activities to justify in-process testing and controls; any previous validations. From study, it can be stated that Process validation is a major requirement of cGMP regulation for finished pharmaceutical products. It is a key element in assuring that the quality goals are met. Successfully validating a process may reduce the dependence upon intensive in process and finished product testing. Finally, it can be concluded that Process validation is a key element in the quality assurance of pharmaceutical product as the end product testing is not sufficient to assure quality of finished product. 1.Agalloco J. Validation: an unconventional review and reinvention. PDA J. Pharm. Sci. Tech. 49:175–179 (1995). 2.Aleem H, Zhao Y, Lord S, McCarthy T and Sharratt P. Pharmaceutical process validation: an overview. J. Proc. Mech. Eng. 217: 141-151 (2003). 3. Chitlange S. S, Pawar A. S, Pawar H. I, Bhujbal S. S. and Kulkarni A. A. Validation. pharmainfo.net/reviews/validation . 4: 318-320 (2006). 4. 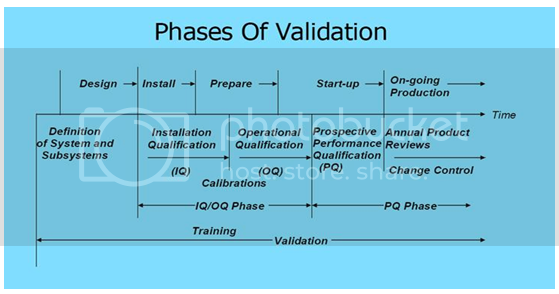 Dashora K, Singh D and Saraf S. Validation - the Essential Quality Assurance Tool for Pharma Industries. pharminfo.net. 3: 45-47 (2005). 5. 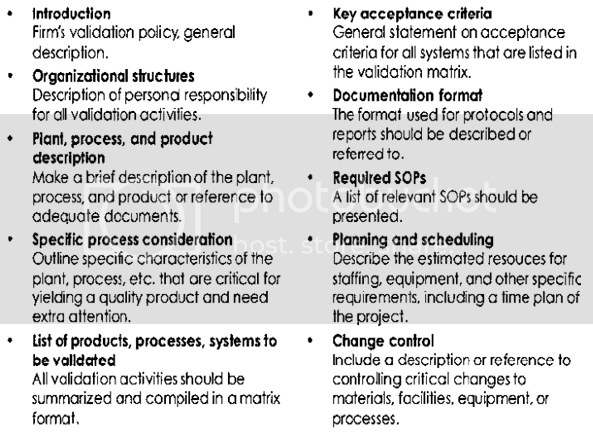 Guidance for Industry: Process Validation: General Principles and Practices. U.S. Department of Health and Human Services, Food and Drug Administration, Center for Drug Evaluation and Research (CDER), Center for Biologics Evaluation and Research (CBER), Center for Veterinary Medicine (CVM), November 2008. 6.Gupta G. D, Garg R and Aggarwal S.Guidelines on General Principles of Validation: Solid, Liquid and Sterile dosage forms. pharminfo.net . 6: 28-33 (2008). 7. Haider S. I. Pharmaceutical Master Validation Plan: The Ultimate Guide to FDA, GMP, and GLP Compliance. CRC Press LLC, Boca Raton, Florida. 8.Lambert J. Validation Guidelines For Pharmaceutical Dosage Forms. Health Canada / Health Products and Food Branch Inspectorate, 2004:7-15. 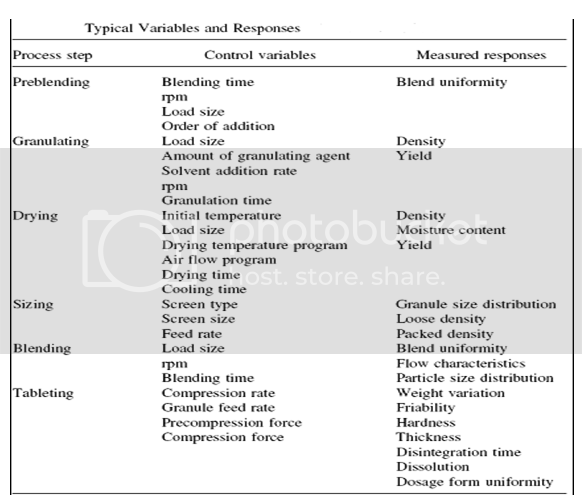 9.Lingnau J. Optimization and Validation of Manufacturing Processes. Drug Dev. Ind. Pharm. 15: 1029-1046 (1989). 10. Nash R. A. and Wachter A. H. Pharmaceutical Process Validation An International Third Edition. Revised and Expanded, Marcel Dekkar, Inc., New York, 2003; 129:760-792. 11. Virmani T and Pathak K. Validation: An Essentiality in the Pharmacy. Pharminfo.net. 5:22-24 (2007). Its very informative article of Validation.